Olympus have registered a new camera at the United States Federal Communications Commission, which some sites are claiming will be called the Olympus E-M1X. 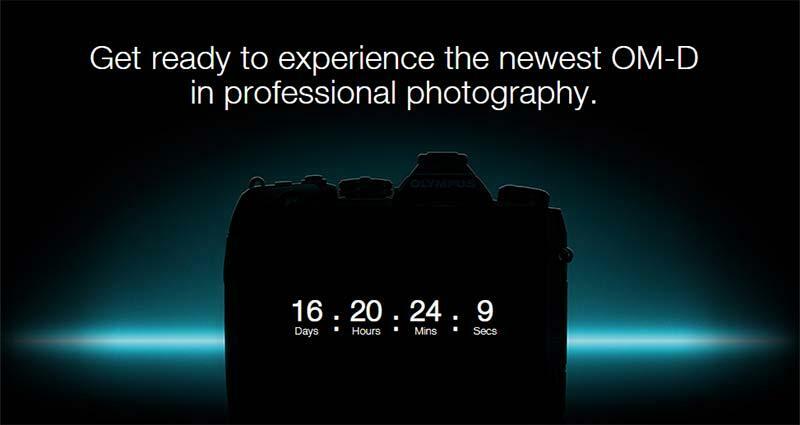 Olympus USA have released a short teaser video for the Olympus OM-D EM1X, which now has a scheduled launch date of January 24th 2019. "It won’t be long until the new OM-D camera from Olympus hits the shops – giving you something to look forward to in this new year. Dedicated to meeting the demands of professional photographers, this OM-D fits the bill when it comes to easy handling, advanced technology and high-level features. Watch the video and see for yourself!" "Test the new OM-D. Get exclusive event infos and be one of the first to try the new OM-D when it comes out and experience personally how it is the perfect tool for photo assignments and shoots. Indoors, outdoors, for any genre and style in all kinds of weather, the new OM-D will wow you." The 18 second video shows the EM1X being used at several sporting events, including at a swimming pool and a beach, suggesting that this new camera will be rugged enough and fast enough for professional level sports photography. Olympus have posted another 19-second teaser video on YouTube, which shows a few more glimpses of the upcoming OM-D EM1X being used at a motorsports event, plus a shadowy silhouette of the rear of the camera. On January 16th, Olympus released a third teaser video, this time showing the E-M1X being used in the great outdoors, strongly hinting at a high level of weatherproofness. Measuring 144.37 x 146.765 x 75.345mm, the Olympus E-M1X will be a sports camera with a built-in battery grip, at least according to 43rumors.com, and will be released in January 2019. 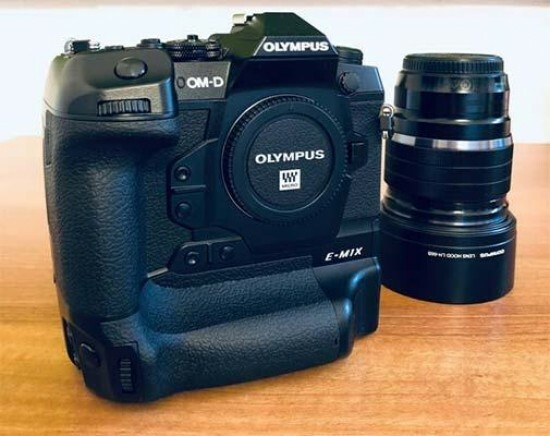 Leaked images showing the Olympus OM-D E-M1X have now emerged from rumor site 43rumors, showing what seems to be a legitimate pre-production version of the camera. As you can see, its pretty big for Mirco Four Thirds camera, especially with the vertical battery grip attached! Rumored specs include a new 20 megapixel sensor, a 50 megapixel handheld high-resolution shooting mode, swivelling LCD screen, AF joystick (first time on an Olympus camera), 18fps burst shooting, and an incredible 7.5 stops of image stabilisation. The new Olympus OM-D E-M1X should make a more official appearance in January 2019, with actual release slated for the 24th January.